Set your FIAT 124 Spider apart from the rest with these great looking custom wheels. The Polaris 5 Custom Wheels have earned a distinguished and respectable reputation in the custom wheel market. 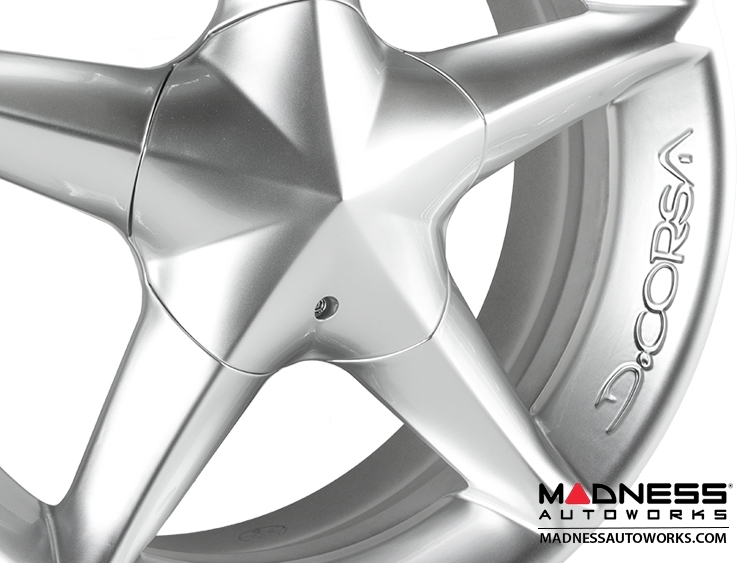 The popularity of these wheels can be attributed to the quality and uniqueness of the wheels. These wheels come in a Custom Hyper Silver Finish and look great on the new FIAT 124 Spider. 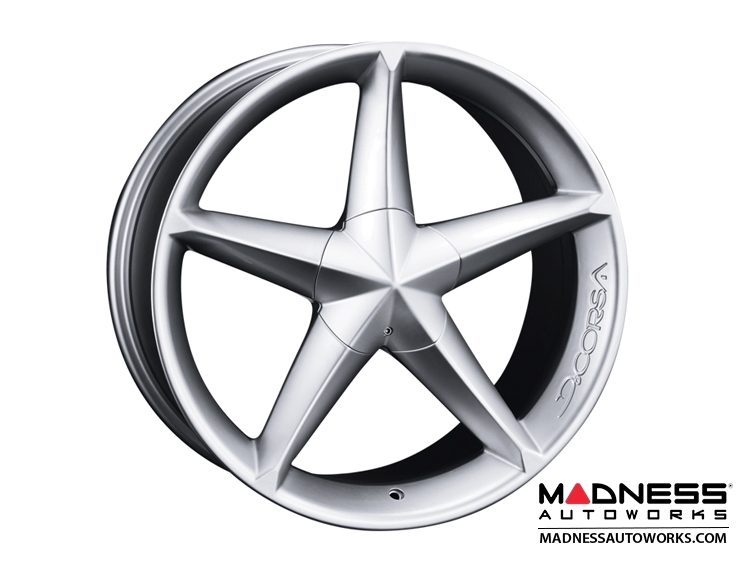 Wheel Size: 17 x 7"
When you make a decision to upgrade your factory wheels with a set of custom wheels make sure you know what you are buying. We have personally tested these wheels on our own FIAT 124 Spider and have verified proper fitment. These wheels not only look fantastic on the new FIAT 124 Spider, they are also high quality and carry full TUV Approval. When upgrading your wheels make sure you look for TUV Approval to verify that the wheels you are installing have passed proper stress and safety tests. We offer wheel, tire and sensor packages along with stock wheel trade in options. Need assistance? We are only a phone call away! 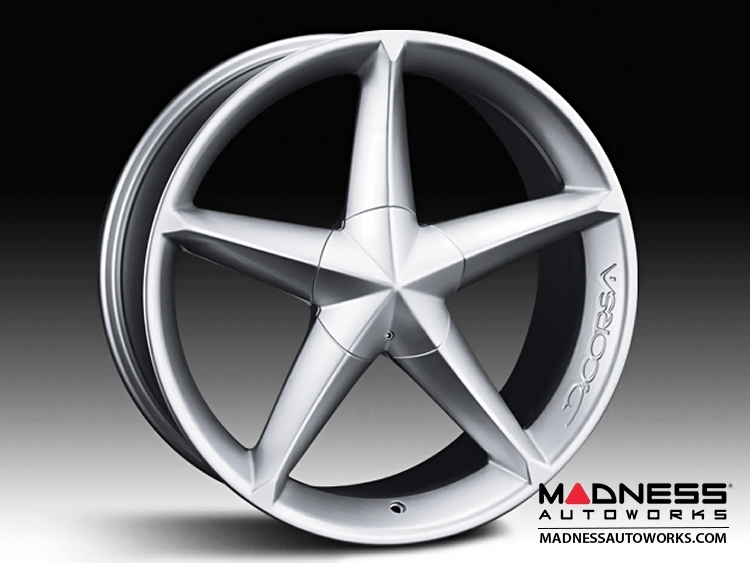 MADNESS Autoworks is an Authorized Seller of DeCorsa Wheels.